Free! Connect your Oculus Rift to Adobe After Effects, Premiere Pro and Speedgrade. 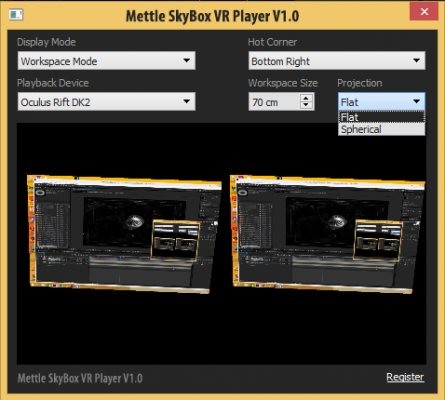 Two view modes: 360 and Workspace. New! Now includes DK2 (Mac + WIN) and CV1 (WIN) players! 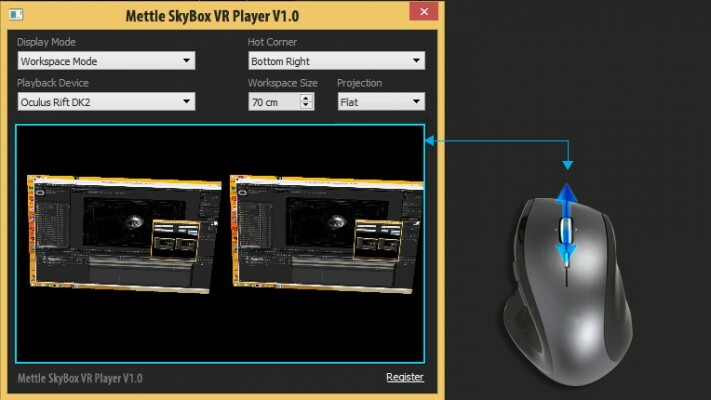 Speeds up 360/VR workflow – no renders to preview 360° content. Two view modes: 360 + workspace. 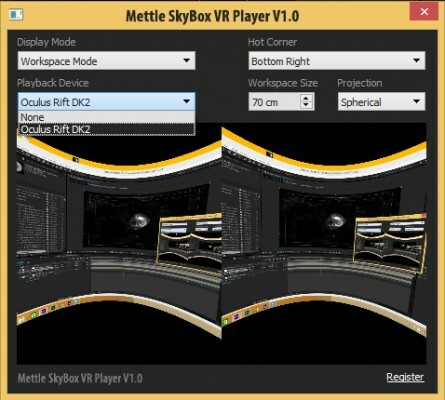 Designed to work with Mettle 360/VR plugins for Adobe software. Downloads and installs like a plugin. Connect your Oculus Rift to Adobe After Effects, Premiere and SpeedGrade. Yes, it's Free! It's part of our ongoing commitment to creating tools for 360 | VR content production. By downloading the license, you agree that Mettle will be sending you promotional emails from time-to-time, with timely and relevant info. Mettle will never spam or share your email address. You can unsubscribe at any time. 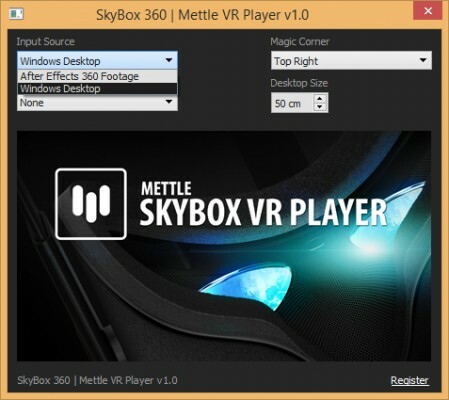 SkyBox VR Player downloads and installs like a plugin. Once installed, the interface window appears when you launch your Adobe software. Follow the instructions in the pdf manual (which downloads with license) to customise your interface. * NVIDIA/CUDA rendering quality improved. * Virtual keyboard is shown in a workspace mode during key presses. * AMD (OpenCL) bug fixes.